Daniel Eric Groves began in ministry as a worship leader over 15 years ago. He is a gifted songwriter and musician. 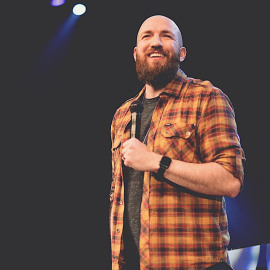 He has become known not only as a worshipper that can bring the freeing presence of Jesus, but also as a powerful communicator of the love and redemption of a good God. His ministry has included church planting, pastoring, and evangelistic outreaches. He leads worship and ministers in churches and conferences all over the United States. He has written songs and recorded with many of today’s top worship leaders. He co-wrote “Healing is Here” which has been performed by thousands of churches around the world. Daniel’s ministry has reached a widespread and multicultural assembly of people. Whether for ten or ten thousand, his heart for ministry remains the same - to lead believers into the authentic presence of God.